One of the aspects in which fastener management efficiency is increasing is through the adaptation of packs and the preparation of product KIT assemblies. 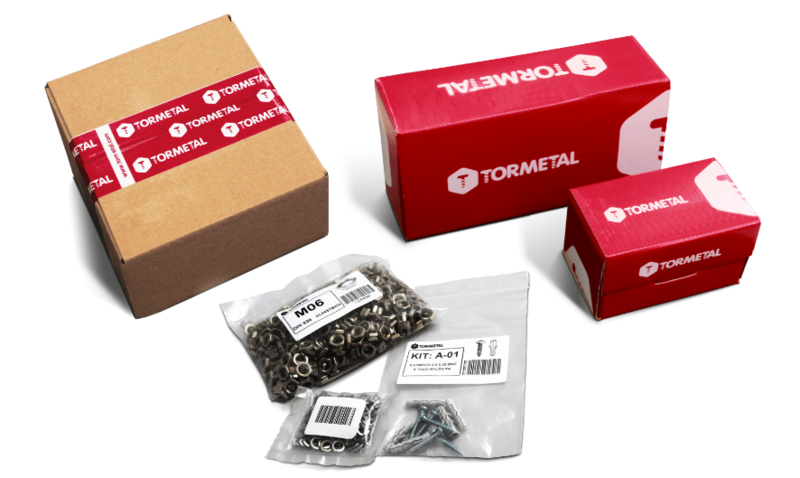 TORMETAL offers custom packaging solutions, such as specific units per pack, custom packs and labelling based on the client’s requirements, among others. We can also configure product KITS consisting of groups of various references in one pack. In these cases, we can treat these different product assemblies as KITS which means treating them as single, indivisible products, with many advantages for clients in terms of logistics. The packs are commercial packs and the batches are adapted to most clients, but we have special machines that prepare custom packs.